With a story this juicy, albeit shallow, you think there would be a lot more reporting. 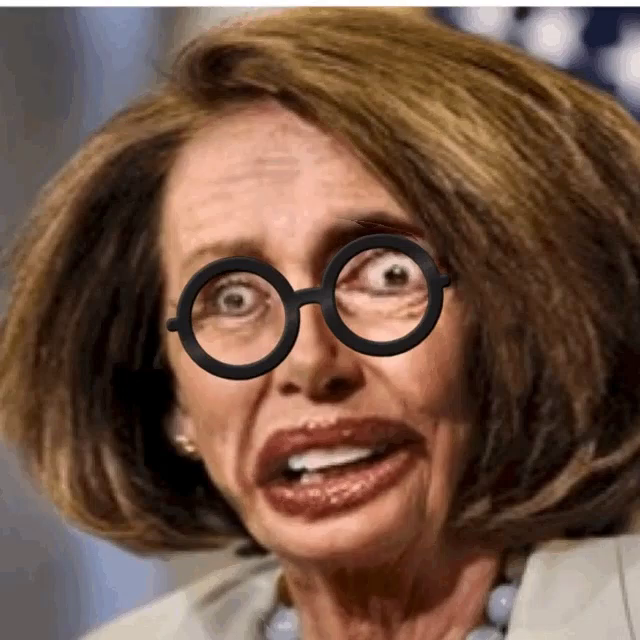 If MAGA hat wearing kids who literally say nothing can be spun in to the news cycle for days, surely the DNC darling Pelosi having her home virtually invaded would be worthy of a byline or two? 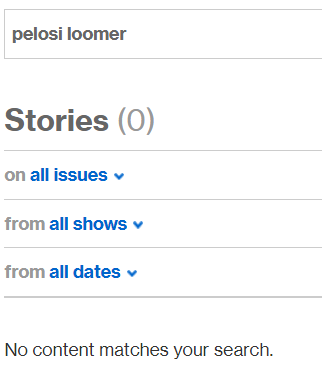 Your search for pelosi loomer did not match any documents. 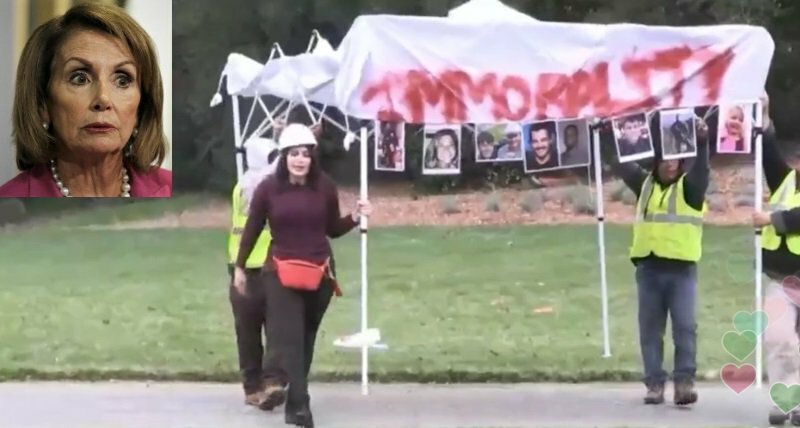 Since she's a Conservative activist, I guess that would be the point, and that therefore they need a great big, lovely wall. no, surely the point is that they were showing that the existing border defenses couldn't keep a chihuahua out, and that therefore they need a great big lovely wall, with machine gun towers. Who has time for that kind of thing? Just find out where she's eating and ruin her meal. 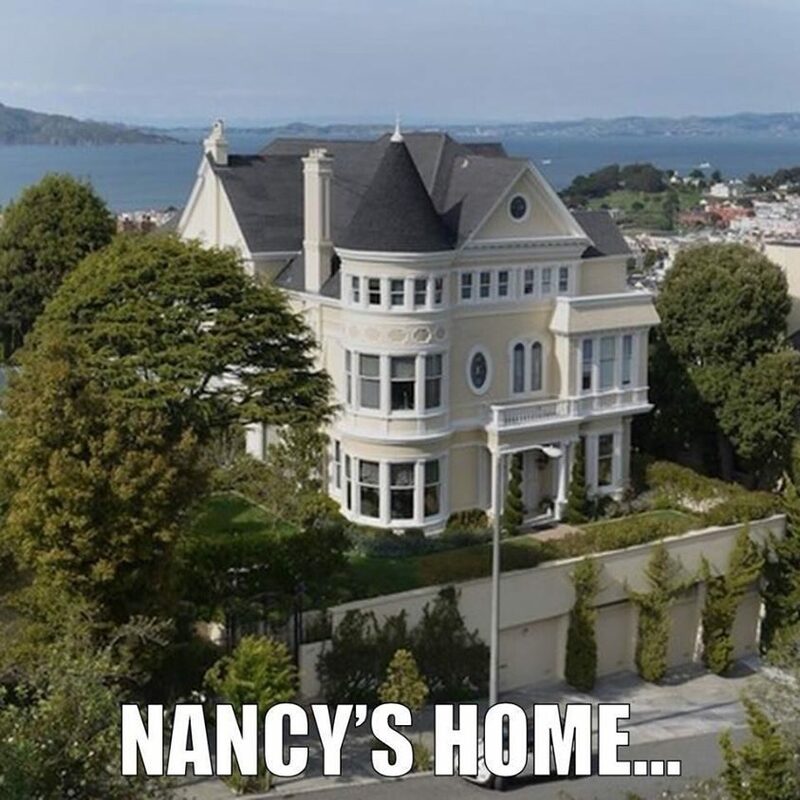 But Nancy's house doesn't have a wall around it. Her house is on top of the wall. That is one cool house though, that's for sure. But they do, demonstrably so. I'll bet there's an elevator that goes from those garages up into the house. Nah, minefields would be more efficient. 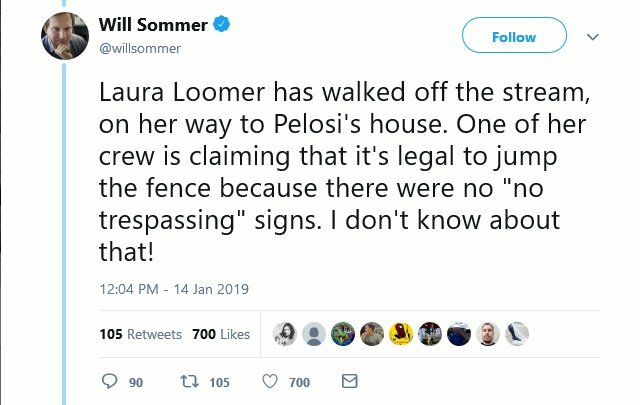 Maybe you can explain why Pelosi had a fence up in the first place. Fences don't work!!! Ha, you are indeed a paradox. Always amusing to see such loving sentiments coming from one who also has touted their (supposed) Christianity so frequently. There is. My house is just like that. My house is just like that. Yep. And a team of brown skinned homunculus that mow the lawn and weed the garden. Sorry, I look at things rationally. If you give me a cup, I can empty a bucket with it. I, however, can not empty a lake with that cup. I really don't know anyone that uses a fence for security anyway. Around these parts, they are known as "privacy fences." The fact is that walls, fences, etc. do work but are not unbeatable. Agent you know this, I'm sure you used them in your time in the military. One thing they also can do is to funnel traffic to where it's easier to police the ground. I wasn't for a wall until I learned a couple of things about the Mexican cartels. They make more money smuggling people than drugs and once many of those people are here some of their wage goes back to the cartels. Also a lot of the workers ain't coming here and picking fruit. They're working in factories and using stolen SS numbers supplied by the cartels thereby negatively effecting American citizens directly. 5 1/2 billion, what's that compared to the trillions in debt we are already. 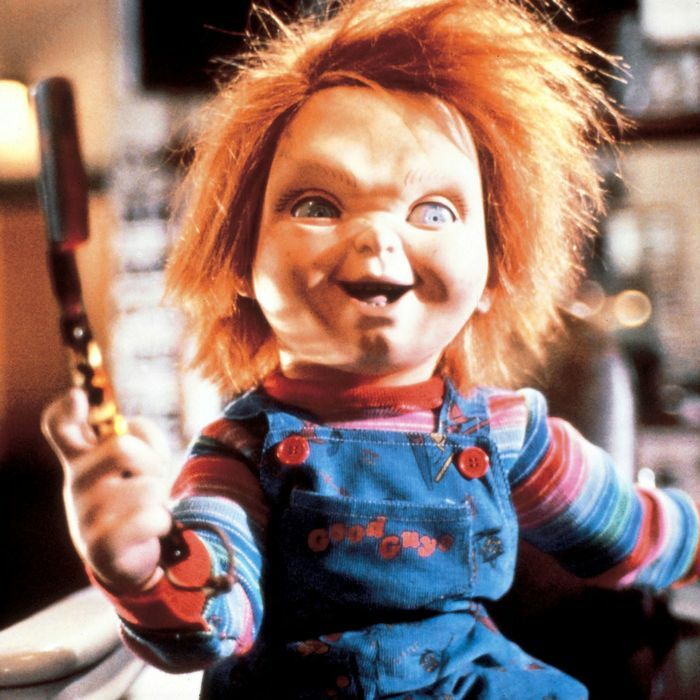 Build it and get the federal workers paid for crying out loud. Ahhhh...so the Mexican Cartel makes more money smuggling people than drugs. We are talking about the same cartels that TUNNELED a drug lord out of a maximum security prison, right? If you walk up on a wall in the middle of the desert do you think you would not be able to get over it or under it? The money can be better spent elsewhere. We did use walls in the military. Walls with guard towers every 50 meters manned by a minimum of 2 people with tens of thousands of dollars worth of optics. That's just not feasible. Let alone the amount of private property that would have to be seized. I'm not really for the government taking people's property. Do you know there are still eminent domain cases in court that stemmed from the Secure Fencing Act of 2006? How much you think that is costing the tax payer? I just want a damn paycheck. They're working in factories and using stolen SS numbers supplied by the cartels thereby negatively effecting American citizens directly. They are working and paying into someone else's account? Ouch! That's gotta hurt. You don't offer any solution as to what to do, AO. All you know is what you don't want done. As the old saying goes, if you're not part of the solution, you're part of the problem.